If you are hungry in the morning, there are several delicious places to choose from in St. George, UT. Yelp is a great website to turn to if you want to learn about an area. It features customer reviews. 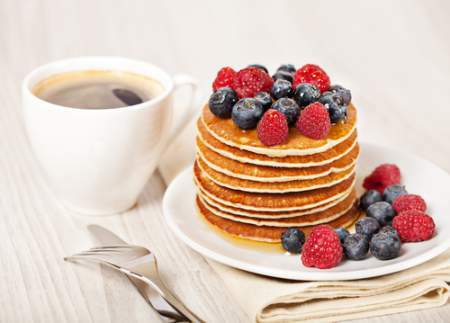 We have done the work for you; here are some of the top-rated breakfast restaurants in St. George, UT. The Crepery: 1091 N Bluff St., Ste 311, St. George, UT. This restaurant is in the 84770-zip code. For more information, please call 435-817-2817. The Crepery is open 7:00 AM – 9:00 PM Monday – Thursday, 7:00 AM – 10:00 PM Friday and Saturday, and 7:00 AM – 2:00 PM on Sunday. This restaurant has 131 reviews and a 4.5-star rating. This eatery features both sweet and savory crepes. Savory choices include crepes fills with eggs, cheese, meats, and vegetables. The sweet crepes include dishes will with fruit, nuts, cheesecake, and chocolate sauce. Salads are available, as are Italian sodas and several coffees. The restaurant is also known for its hip decor. Waffle Love – STG Truck: various locations, St. George, UT. For more information, please call 770-926-1308. Waffle Love – STG Truck is open 5:00 PM – 9:00 PM on Monday, Tuesday – Thursday 10:00 AM – 2:00 PM and 5:00 PM – 7:00 PM, Friday 10:00 AM – 2:00 PM and 5:00 PM – 8:00 PM, and Saturday 9:00 AM – 3:00 PM and 4:00 AM – 10:00 PM. This restaurant has 25 reviews and a 4.5-star rating. Waffle Love – STG Truck is a popular food truck, the locations where it will appear can be found on its website. Specialty waffles are served, including choices with fruit, chocolate, and Nutella. There is also a build your own waffle option. Waffle Love- STG Truck also caters. Wagon Wheel Diner: 2654 Red Cliffs Dr, St George, UT. This restaurant is in the 84790-zip code. For more information, please call 435-652-4352. Wagon Wheel Diner is open Monday – Saturday 7:00 AM – 3:00 PM, and 8:00 AM – 2:00 PM Sunday. This restaurant has 32 reviews and a 4-star rating. Wagon Wheel Diner is more popular than ever in its new location. 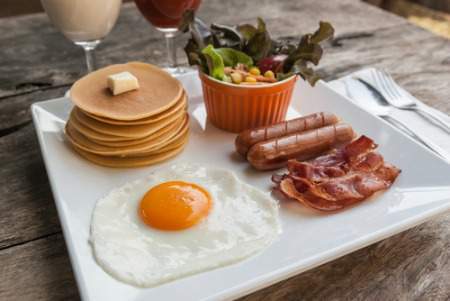 Traditional breakfast foods such as omelets, biscuits and gravy, and corned beef hash are served. Special dietary requests such as vegan will be accommodated upon request. Bear Paw Cafe: 75 N Main St., Saint George, UT. This restaurant is in the 84770-zip code. For more information, please call 435-634-0126. Bear Paw Cafe is open 7:00 AM – 2:30 PM seven days a week. This restaurant has 252 reviews and a 3.5-star rating. Portions for breakfast are large, and the staff is friendly. The menu includes waffles, French toast, crepes, and a choose your own plate option. There is also a menu for children. Fresh smoothies and coffee specialties are also served. Black Bear Diner: 1245 S Main St., St. George, UT. This restaurant is in the 84770-zip code. For more information, please call 435-656-2327. Black Bear Diner is open 6:00 AM – 9:00 PM Sunday – Thursday, and for 24 hours starting at 9:00 AM on Friday. This restaurant has 284 reviews and a 3.5-star rating. Black Bear Diner is known for its huge portions. Breakfast choices include chicken fried steak, corned beef hash, pancakes, and scrambles. There are vegetarian options, and smaller portions are available for some items. Breakfast is served all day.